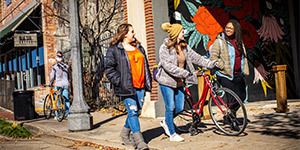 A top-tier national liberal arts college, Hendrix College is featured in Colleges That Change Lives: 40 Schools That Will Change the Way You Think About Colleges. In 2018, U.S. News & World Report ranked Hendrix College as one of the “Most Inovative Colleges” in the nation. 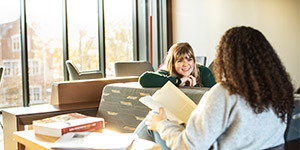 FINANCIAL AID: Hendrix College is committed to making a world-class education affordable. For that reason, each student admitted to the College will receive a merit-based scholarship ranging from $20,000–$28,000 per year. Additionally, the College offers generous scholarships for cocurricular talents (music, drama, dance, and art) to qualified students. These awards, federal aid programs, Hendrix need-based aid, and competitive scholarships combine to assist you in attending. For the 2022 class, the average award was just over $38,450. The best way to know if the Hendrix community is a good fit for you is to experience it firsthand. Schedule a visit online at hendrix.edu/visit. 10%+ of graduates enter medical school with an acceptance rate of twice the national average. More Hendrix students complete science PhDs than students from nearly any other institution, according to the National Science Foundation. 11:1 student-faculty ratio helps you form close relationships with our 104 full-time faculty members (91% with PhD or other terminal degree). A lot of colleges offer hands-on learning. But no college does it better than Hendrix. It’s not elective; it’s part of every Hendrix student’s academic experience. 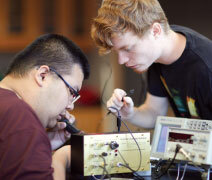 Since 2005, Hendrix students have completed nearly 20,000 Odyssey projects. No other liberal arts college supports hands-on learning like Hendrix, with more than $4 million in grants awarded for students to follow their interests and passions outside the classroom. You complete Odyssey projects in at least three categories before you graduate. You choose the categories. You design the projects. Personalize your education in unique ways and design adventures that take you wherever your interests lead you. Your Odyssey transcript will show prospective employers, grad schools, law schools, med schools, and others that you’ve taken your learning to the next level.